According to the State of Washington’s Department of Commerce, urban sprawl is defined as scattered, poorly planned urban development that occurs in the urban fringe and rural areas. Thus, areas that were once farmland or forests were turned into strip malls or residential development such as large single-family dwellings. The outcome of urban sprawl includes increased pollution and the destruction of natural resources. However, urban sprawl is not irreversible. There are ways to reduce it. Urban sprawl destroys the environmental, economic and aesthetic value of natural resource lands, according to the State of Washington’s Department of Commerce. Preserving natural resources such as farmland, parks, open spaces and unused land is one way to reduce urban sprawl. Preserving the land keeps it as is. Thus, wildlife and animals aren’t removed from their homes and forced closer to cities and suburbs. Also, preserving natural resources stops leapfrog development or construction of strip malls, new towns and residences miles away from cities and suburbs. Revitalizing cities and older towns — including older suburbs — instead of constantly creating new townships and communities that are less populated is another way to reduce urban sprawl. According to the Planning Commissioners Journal, an urban sprawl guide, ways to reinvest in cities and older towns includes cleaning up environmentally contaminated land and reinvesting in existing neighborhoods to move people from urban sprawl neighborhoods back to the cities. Once the neighborhoods are revitalized, then city governments and private companies can find ways to interest people in living in those neighborhoods. For example, city governments can provide tax incentives and banking institutions can offer special mortgages for people interested in moving back into the neighborhoods. Another way to reduce urban sprawl is providing residents with a sense of place, according to the Planners Commissioners Journal. 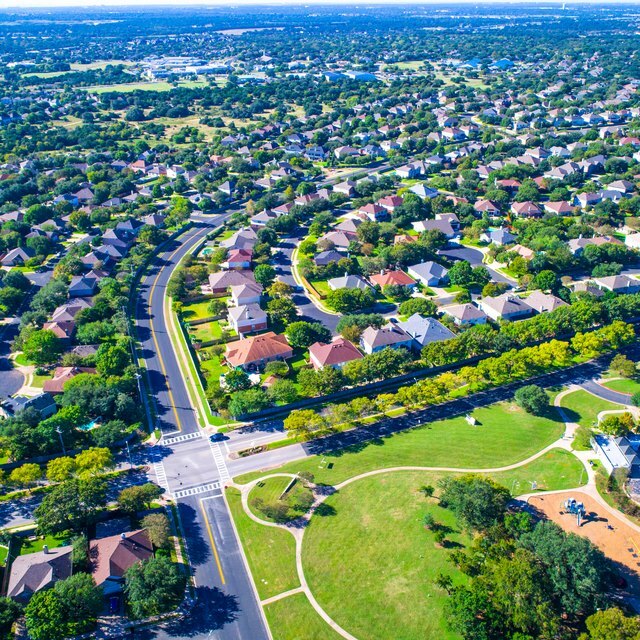 Instead of building stadiums, schools, parks and office parks in isolated areas, which contributes to sprawl, they should be built in neighborhoods. This creates a better sense of community and reduces the need for traveling long distances to work and play. According to the Sierra Club, making significantly greater investment in clean public transportation is another option to reduce urban sprawl. More options such as buses and light rail can help reduce the clutter of traffic going from cities to sprawl areas, especially during high-volume times such as rush hours.